That’s where Salem Occupational Health Clinic can help. We’re experts in occupational medicine, the field of medicine where clinicians specialize in taking care of patients injured at work. Our clinicians understand that helping you after a work injury means helping you through the process of return to work, as well as evaluating and treating your injury. 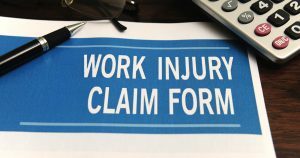 We make it easier for you to focus on your recovery—not only by providing you with great medical care, but also by helping you navigate the worker's compensation system and keeping you, your employer, and the workers’ compensation insurance adjuster on the same page. Occupational medicine focuses on the handling of illnesses or injuries caused by work, and the process of returning employees to full function. This can include specialized treatment and physical therapy that may be required as part of a patient’s treatment plan. Our physicians are specially trained in occupational medicine and experienced in treating workplace injuries of all types.